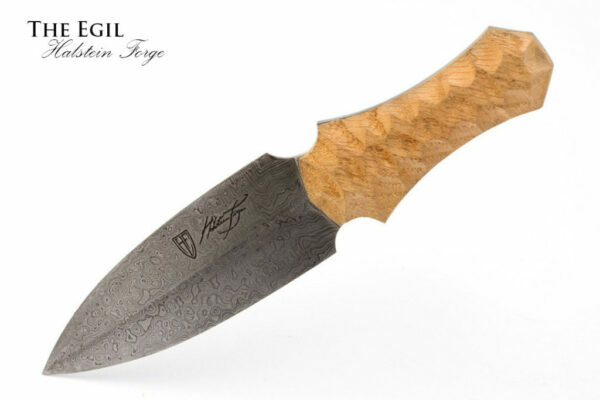 The Cynwrig is forged with a blend of 1075 and 8670m steel, giving a stunning contrast to the folded steel layering. 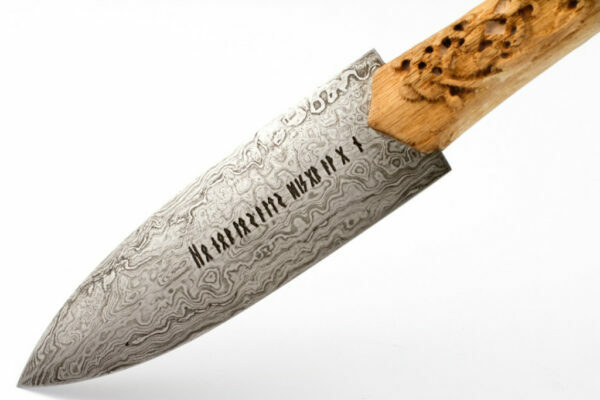 In the 21st Century, there are a wealth of knife designs both historical and modern available to look to for inspiration. 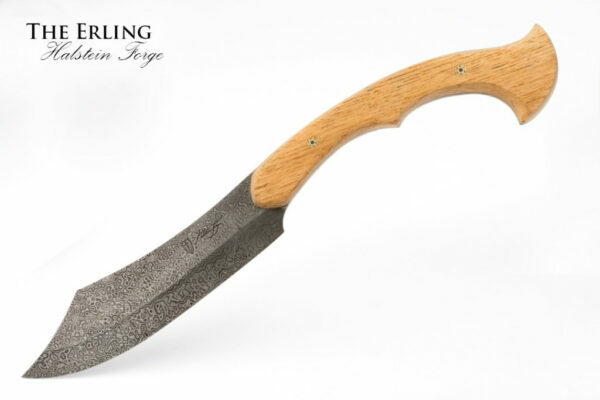 When Halstein Forge was founded, the owners wanted to create knives that were not only based on established designs but also created out of the minds of our own designers. 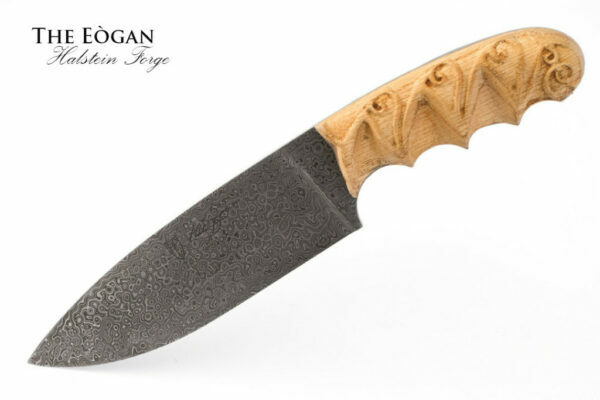 With so many potential sources of inspiration, it was not hard to come with designs that were exclusive to our forge. 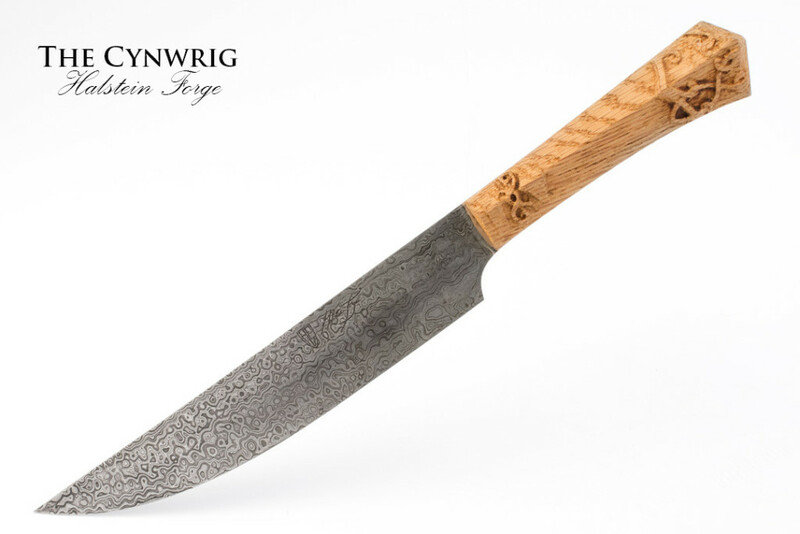 The Cynwrig is one of these knives. 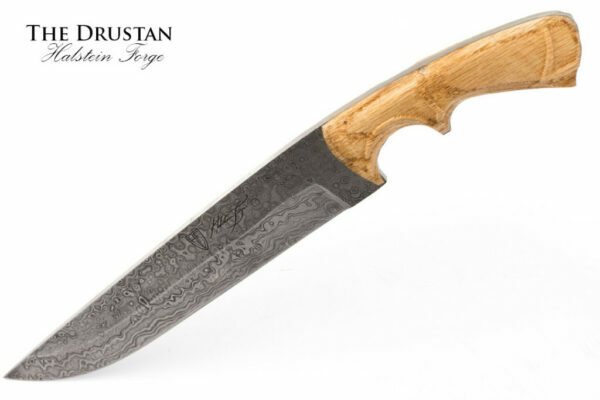 An exclusive Halstein Forge design, it takes its inspiration from multiple sources. 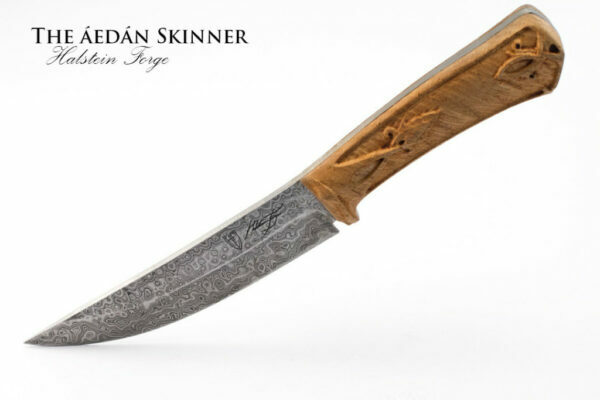 The original shape of the blade is based off of a classic skinner knife, with a long, tapered single edged and curved blade. 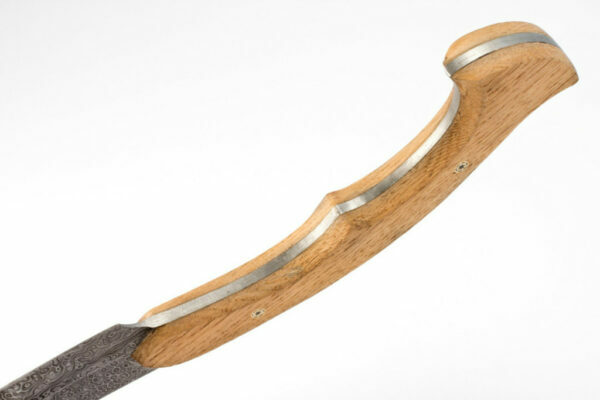 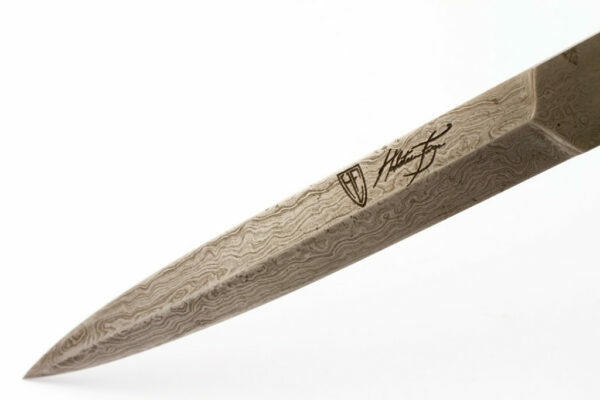 The geometry of the blade, especially its profile, was influenced by traditional Japanese knife geometry. 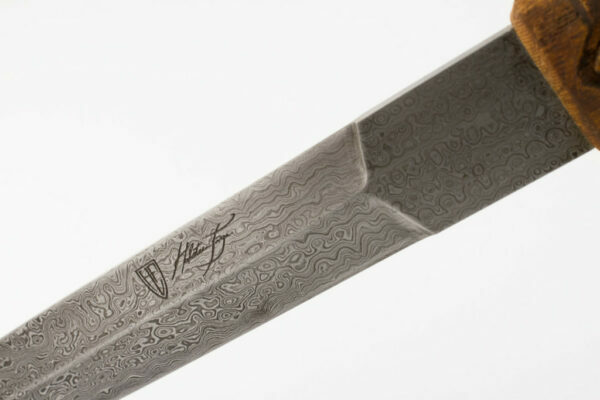 There are also traces of classic American Bowie influence which can be detected, especially in the flare of the pommel. 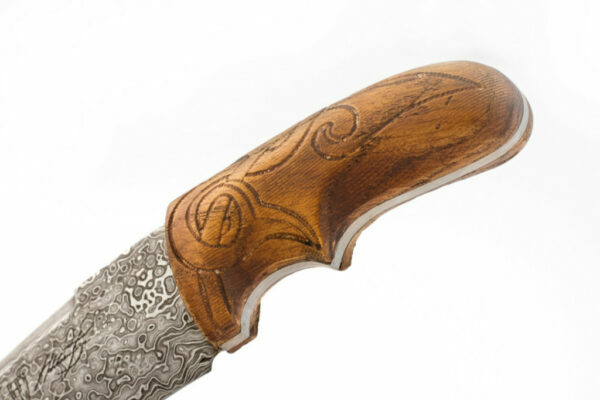 The carved oak handle is decorated with designs inspired by the knotwork of the Urnes Staves Church, and are affixed securely to the tang. 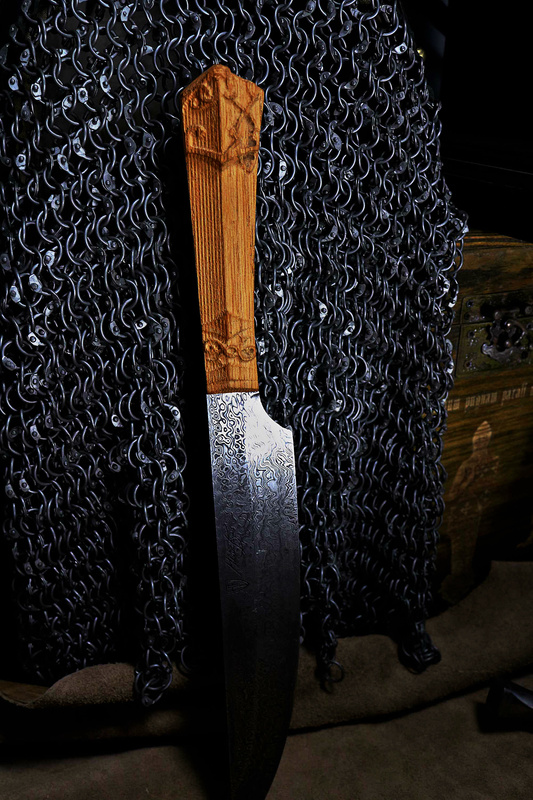 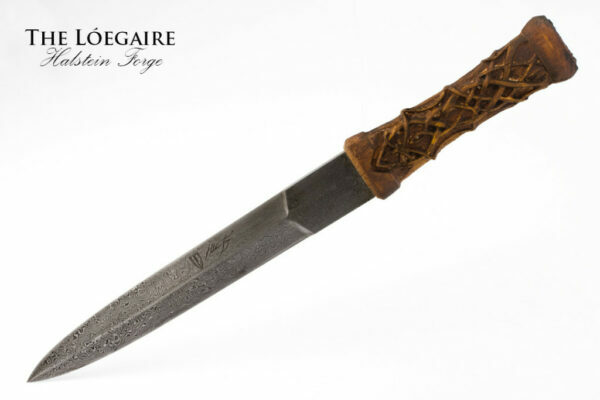 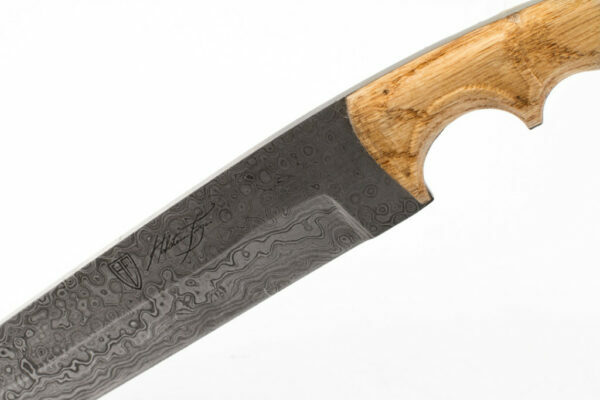 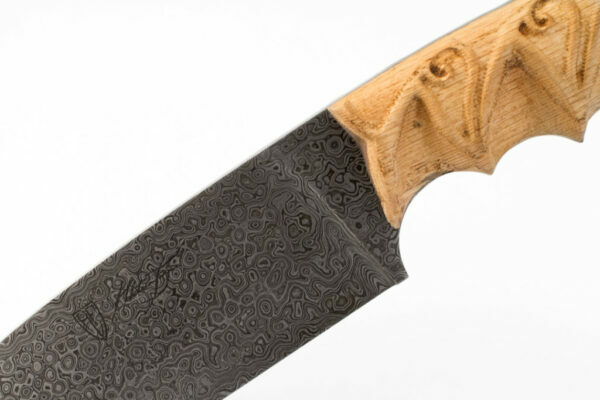 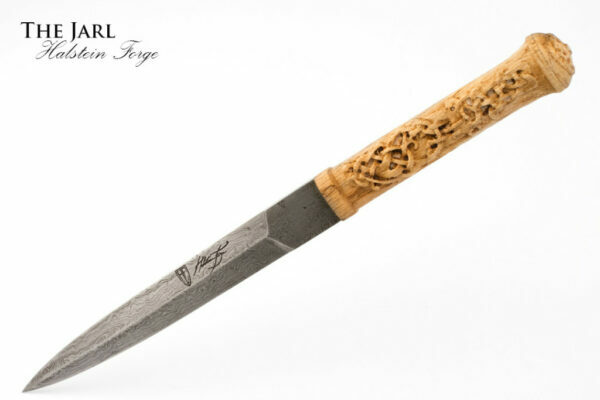 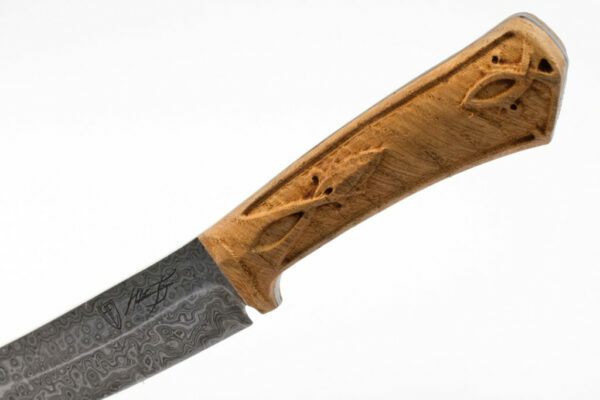 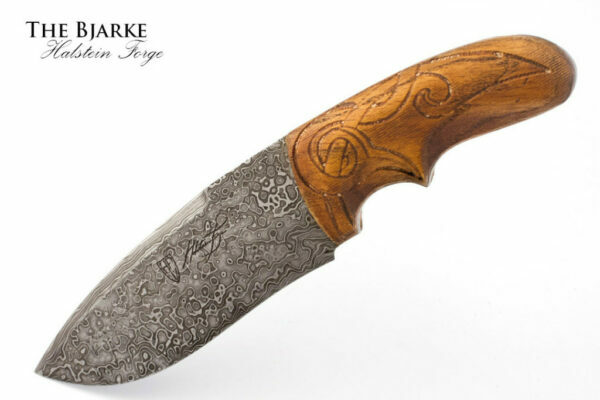 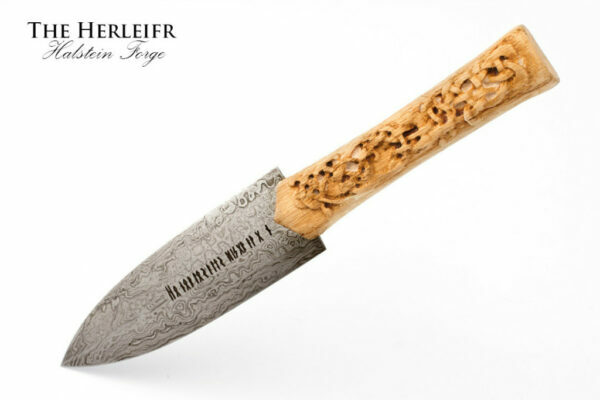 This beautiful Damascus knife is very unique, and is a worthy homage to the various sources of inspiration it claims.